Around 120 rangatahi from all over the country came together in Rotorua to discuss and plan for the future they want to create at the E Tū Whānau PALMS Rangatahi Symposium on 21-22 July, 2017. 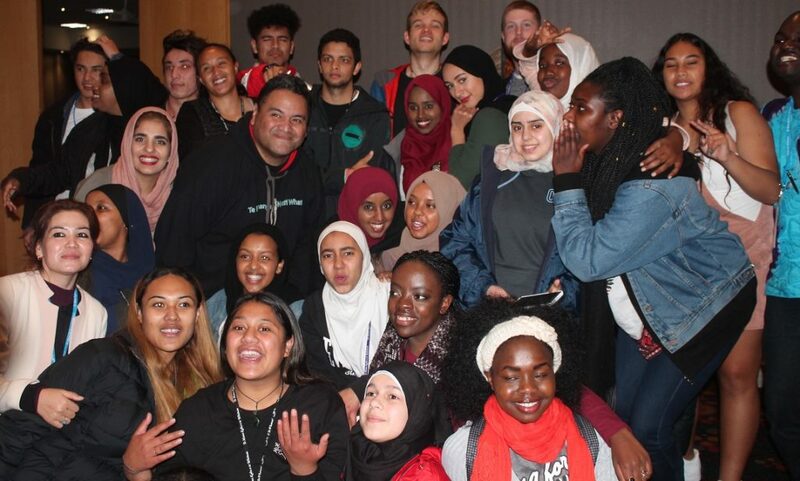 The hui was a chance for rangatahi from tangata whenua, pasefika and diverse communities to learn about and connect under the E Tū Whānau umbrella of “PALMS” – Peaceful Action Leadership Movements. The palm tree is found throughout the world – in the Pacific, the desert, the rainforest and in Aotearoa. It symbolises the network of rangatahi working towards the E Tū Whānau vision.